Let’s take about aging. Or better yet, about looking your best at any age. It’s no longer correct to use the term “anti-aging” and we shouldn’t fear aging—we should be happy about it. Age brings many good things: experience, wisdom, friends, careers, opportunities, good stories. As you get older, the more reason you have to take care of yourself to get more out of life. Last week, we wrote about a basic skincare routine for men, inspired by R&B/rap star Frank Ocean’s personal practice. But I’ve also been giving advice to women on skincare time and again. This week, I want to delve deeper. It’s better to have a holistic approach to look your prime amid the passage of time. For men or women to look their best and feel great, here are some suggestions. Some of them are quite obvious. 1) Eat well. I don’t mean follow a strict diet, because it might even cause more bad than good. A diet isn’t about depriving yourself of food. It’s about proper nourishment and listening to your body. Your mind may crave for sugar, but your gut will tell what you really need. So, in a manner of speaking, learn to listen to your gut. As you age, the effects of eating too much of one kind of food will show on your skin, in your hair, and can be detected through your energy levels. This is why eating healthy is always one of the starting points toward a better you. 2) Wear sunscreen. The young and carefree won’t mind the sun because the effects aren’t immediately apparent. It’s only toward midlife when you might see the marks of overexposure to the sun. Fine lines and wrinkles will show up, among other skincare concerns. But the effects of the sun can go much deeper, depending on the situation you are in, or your genetics. Ever heard of “raisin in the sun”? That’s you, without sunscreen. For an everyday sunblock, I suggest the Avène Sunscreen Emulsion 50ml SPF 50+ Face. A bottle will provide your daily needs, as it has spectrum UVA and UVB protection. It is also water-resistant, silicone-free, and photo-stable. 3) Exercise. It doesn’t have to be intense. You don’t have to get that six-pack and be super ripped. Exercise has a ton of benefits, all of which contribute to your well-being. Moving your body for even just 20 minutes creates new brain cells, gets your endorphins up and sends other signals to your brain that help it to function well. Find the right exercise for you, including yoga or Zumba or even Crossfit, and you’ll feel and look good. If you need extra motivation, I suggest you get a good fitness tracker. 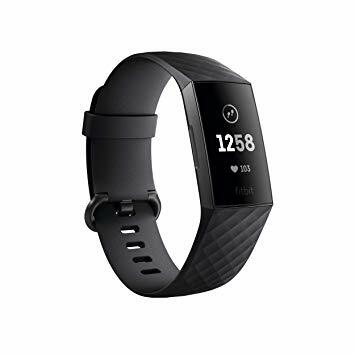 You can try the Fitbit Charge 3 that looks sleek but is packed with features to help you become more aware of your exercise habits. 4) Take care of yourself. There should be physical manifestations of how much you truly want to look good. One way is by getting a treatment. Pamper yourself. It will relax your mind and give you an excuse to have an hour or so all to yourself. When I bumped into Dr. Hayden Kho once at a party, I immediately asked him what his favorite treatments are. And he advised me that there are quite a few at Belo Medical Clinic that are specifically for those who want to look good at every age. The result is a lifted face without invasive surgery. As for the downtime, there’s virtually none. After experiencing a little redness right after the procedure, you are good to go. One session is said give you effects that last for a year. Add exercise and you’ll be confident next time you go to the beach. I hope these suggestions help you discover your specific goals on aging gracefully. If you’re already doing a few of them, I’m cheering you on. If you’re just starting, then there’s no better time than now.